Wonderfully Raw: Support us with edible credits. As we like to remind our customers, reporters and others who share our interest in good health, Wonderfully Raw reinvents the way we select and consume specific snacks and treats. Through the leadership of Sequoia Cheney, the Founder of the company and its spokesperson for wellness (of mind and body), we do not have to face the false choice between nutrition and good taste. If anything, the use of the finest ingredients - including organic maple syrup and dried coconut - can produce - does produce - something that is healthy and delicious. From those basic principles, Sequoia gives us Coco-Roons: a dairy-free, gluten-free product - with a low glycemic index - that wins acclaim from a diverse array of consumers, including parents, health aficionados, food enthusiasts and people who simply want a great-tasting treat they can enjoy at their leisure. Those strengths distinguish Coco-Roons from the competition, especially brands that contain artificial ingredients, preservatives, dyes and even pesticides. Aside from the fact that those items may also be more expensive than Coco-Roons, which are, in contrast, affordable and available online (or in Whole Foods and specialty markets), they do not promote good health, period. 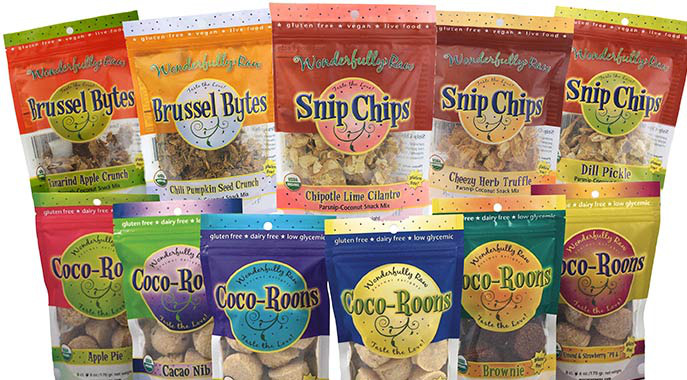 Consider Coco-Roons to be the start of a new movement - a national campaign among our many fans - to buy and enjoy something that is healthy, delicious and the result of personal dedication. Thanks to Sequoia, we now have a treat we can eat without any sense of guilt or disappointment. Sequoia spent most of her life giving service to others in one way or another. First at Camarillo State Mental Hospital along with her husband Jack they ran the Art Therapy Fine Arts Discovery Program working with the mentally ill and developmentally challenged. Then Sequoia started the Arts in Corrections Program at Salinas Valley State Prison. After leaving the prison, Jack and Sequoia started Three Trees Retreat Center in Watsonville, CA. A holistic healing center. Where people come to heal their body, mind and spirit. Sequoia always had a passion for good food, that wasn’t always good for her. When life threw her a curve ball and she was diagnosed with type 2 diabetes, she knew something had to change if she wanted to heal herself. That began the road to good health. Sequoia alway loved to eat not necessarily to cook. She turned to her son Eric for inspiration. Eric Hara renowned Chef in New York City encouraged his mom to be creative. Sequoia knew in her heart there was a way to create delicious food that was also good for her. She found her way to Living Light Culinary Institute in Mendocino, California, where she trained with the best raw food chef’s in the business. Gaining the knowledge of how to prepare food that could support and heal the body. She was ready to embark on this journey. She sparked that passion inside of herself and was amazed how she could created food that not only tasted delicious but could heal. Sequoia is now medication free and her blood sugar is normal. After teaching raw food classes and selling her food to the local community. Sequoia was encouraged to get her food to the market. Hence the beginning of Wonderfully Raw Gourmet! Now this dynamic duo mother and son team has come together to create the amazingly delicious “Coco-Roons”. Using only the finest organic ingredients. Join us on the journey to good health with our great tasting treats! Expansion of small facility to larger facility to make our wholesome raw food more affordable to all through economies of scale. This would also allow a very small business to hire more unemployed or underemployed team members and to add to the our local economy and education of the Raw Food Movement! All monies will go to the growth of that mission. Did you know you can support us while you do your other shopping? You can redeem your Credibles at selected Whole Foods stores in Northern California. Simply prepay us here and download the Credibles app to your smartphone. Then use Credibles coupons from your app at checkout. Learn more more at credibles.org/whole-foods. At the register, use the Credibles app on your smartphone to redeem your credits for Wonderfully Raw.